Transform the living room beyond the constraints of fixed walls and capture the expansive natural world beyond in one elegant and dramatic gesture. 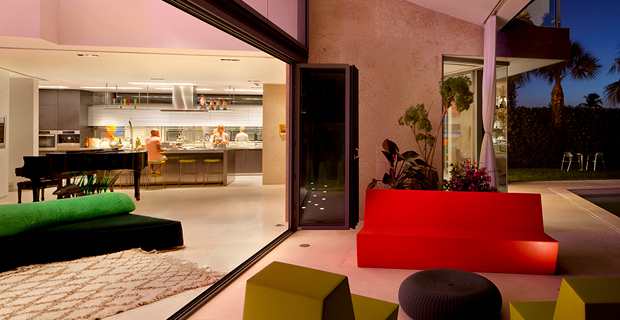 A NanaWall system adapts the room to the occupant’s desires, allowing complete control over the elements without compromising thermal performance or views. The indoor/outdoor lifestyle becomes a daily part of life in all seasons. 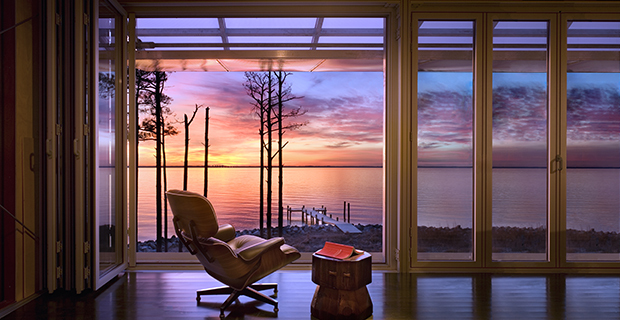 The project goals included providing savannah-like views of the Chesapeake Bay and opening the interior fully for natural ventilation. The plan also called for thermal insulation when the operable glass walls are closed. The architect’s ambition for this home was not simply to frame the view but to become one with the landscape. The NanaWall system achieved this in one elegant and dramatic gesture. 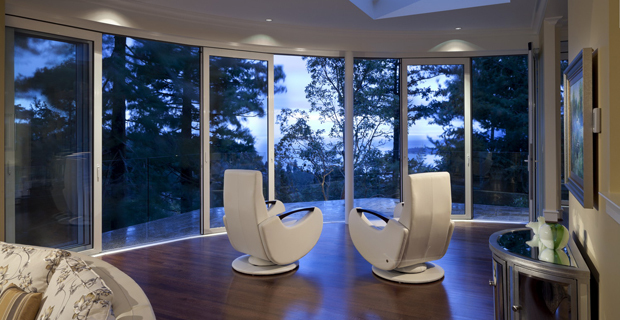 Energy efficiency and performance was an important consideration for this Vancouver BC residence. The HSW60 system provides the ability to store the system completely out of sight when open but also provides outdoor access through a single action swing panel when closed. 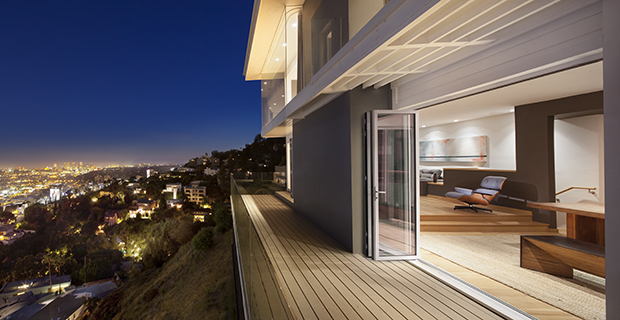 The preexisting French doors and large windows were not maximizing on the stunning panoramic views at this Hollywood CA residence. During a renovation project, the space was transformed with jaw dropping results. At this contemporary Florida home, the resulting indoor /outdoor environment was exactly what the client and architects envisioned for the living area and guest bedrooms and the top-hung, hurricane approved systems allowed the design team to run a continuous flooring material both inside and out. 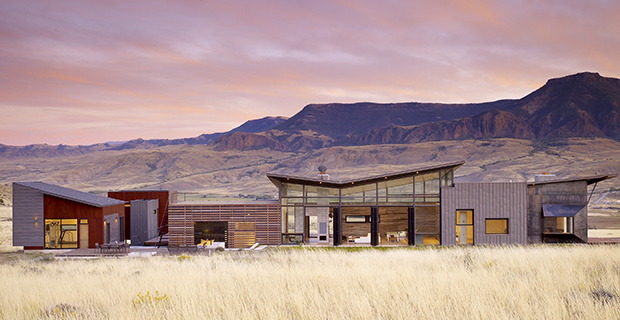 For this Wyoming vacation home, the goal was to create a sustainable design that incorporated as many “green” materials as possible. The NanaWall systems used are all-aluminum and have minimal sightlines which suited the aesthetics of the project. 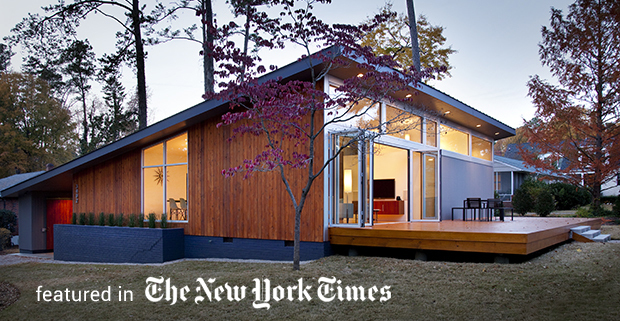 THE urge to downsize is not limited to empty nesters and retirees. It can hit anyone at any time. And sometimes it’s the family dog that helps you realize you have more space than you need.